Important Note: Please read this page carefully as you will see it only once. ….I am going to offer you the chance to get me to personally critique a video of your golf swing. I believe that within 3 video critiques (1 for each move) you’ll have the swing plane needed for great ball striking. Normally I charge $50 per video critique. So that would be a value of $150. But like I said, because I want you to succeed with this I’m giving you a one time chance to get 3 video critiques from me for just $25 — that’s a $125 saving! This offer is only available on this page right now. You will not get this chance again to get 3 video critiques for $25. So to order these critiques simply click ‘Add To Cart’ button below and place your order. Then when you’re ready, send me a video of your swing and I’ll get back to you within 48 hours (weekdays) on how you’re getting on, and what you need to do to improve. 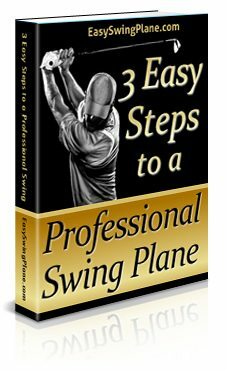 In your first email to get your video critique put this in the subject: “Easy Swing Plane Video Critique #1” and we’ll go from there. No thanks. I understand this is my only opportunity to get 3 video critiques for this amazing special price and I’m okay paying more later if I want this.